Imported from Germany for his looks, extravagant paces and incredible attitude to work, this young horse would suit both a professional or amateur rider. 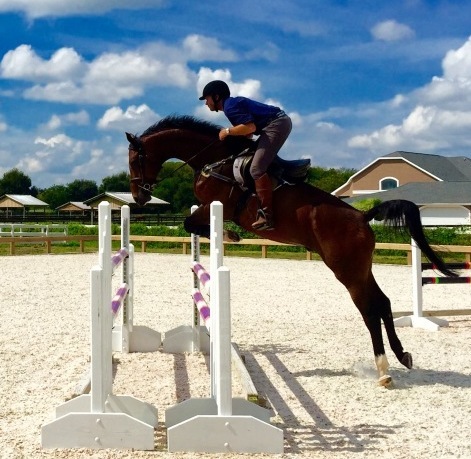 By Contendro, Caison is a combination of the most promising breeding lines for Eventing. Contendro is the sire of the last three winners of the Bundeschampionat in Warendorf. Caison has competed in 1.20m SJ in Germany before been imported to the U.S. in June 2015, Caison has now started his Eventing career in winning form finishing on his Dressage score to win the Open Training at Chattahoochee Hills H.T., Stable View H.T. and most recently was 1st in the Preliminary at Rocking Horse Winter II.